Have you heard of KIPPERS? 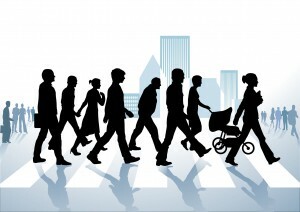 Nearly 1 in 4 (23%) of people aged 20-34 continue to live in a parental home according to the latest Census data. 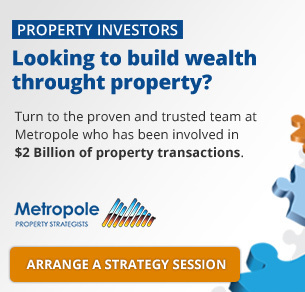 They’re called KIPPERS – Kids In Parents Pockets Eroding Retirement Savings. That’s probably one of the reasons their parents, the NETTELS (Not Enough Time To Enjoy Life), are working so hard. 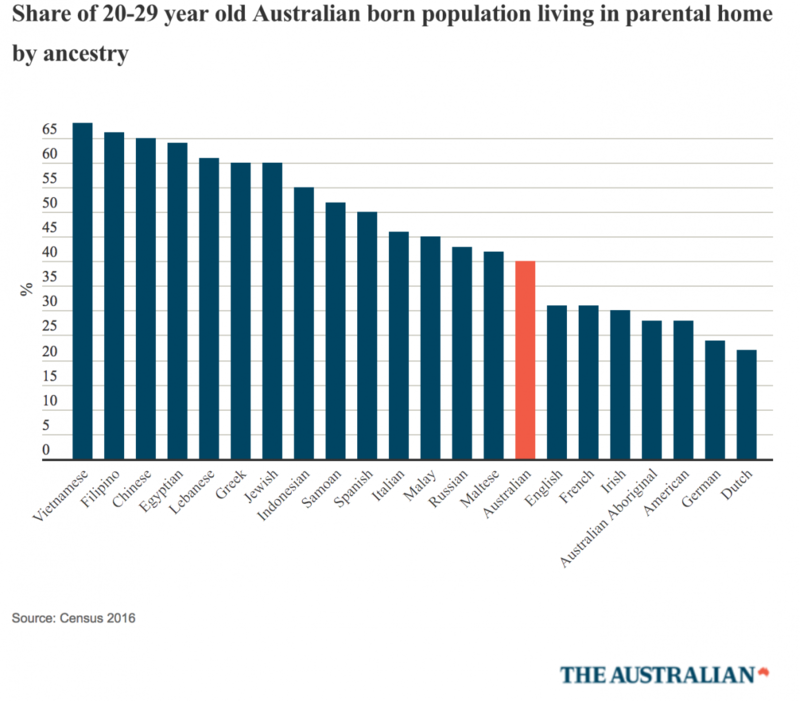 The census shows it is boys who are likeliest to remain at home — the split is 28 per cent of males and 21 per cent of females aged between 18 and 35. Women “partner up” younger, forming relationships with older men that enable them to leave home earlier. Males partner later and while they wait they live with their parents. In Italy this concept is known as “hotel mama”. A logical explanation behind the rise of the KIPPER generation is ethnicity. 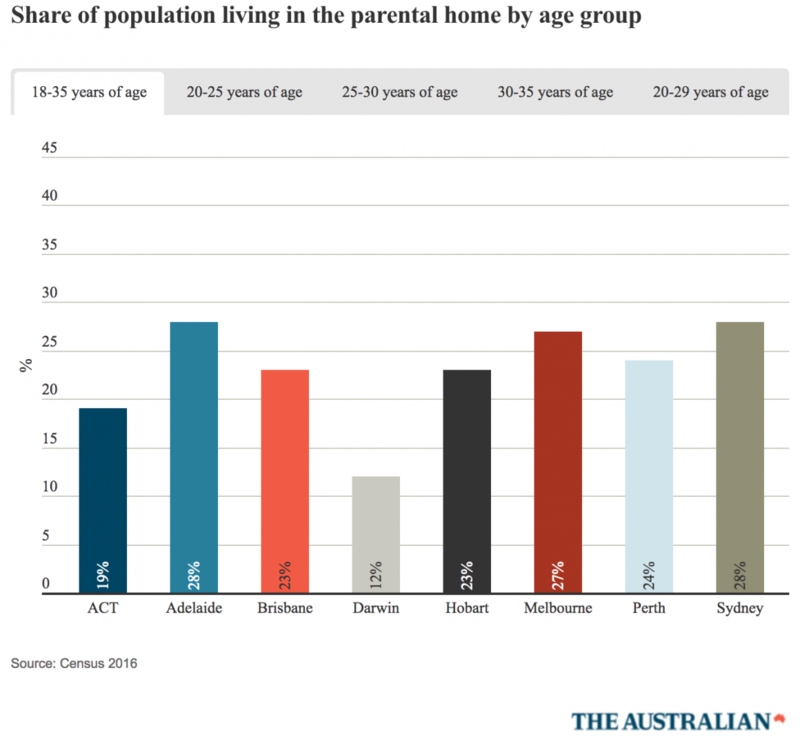 In the 20 to 29-year-old group 40 per cent of the Australian-born population live in the parental home. But for young people with a Vietnamese heritage this proportion is 68 per cent. For young Filipinos it is 66 per cent and for Chinese it is 65 per cent. The ethnicities that are least likely to support adult children in the parental home are those with a Dutch heritage (22 per cent of 20-somethings) and a German heritage (24 per cent). Other groups least likely to support adult kids in the parental home are the indigenous (28 per cent), Americans (28 per cent) and Irish (30 per cent). KIPPER clusters form a ring that extends between 20km and 40km from the Sydney and Melbourne CBDs. KIPPERs need precisely the right conditions to flourish: not too close to the CBD, nor too far away. The picture emerging is one of a powerful new social group that is unique to the 21st century, at least on this scale.